Meyer lemons are going crazy right now - they are everywhere! Instead of the basic zest & juice for freezer, lemon bars & lemonade, I wanted to try something different. 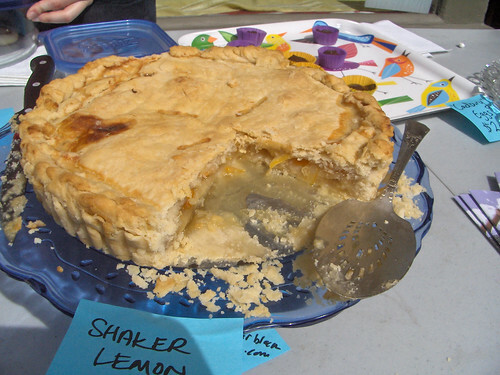 I read some recipes for Shaker Lemon Pie - standard recipe for a double crust pie is - macerate 2 thinly sliced lemons (no seeds) in 2 cups of sugar for several hours or overnight, put the drained lemons into the pie crust and beat 2 eggs into the sugary syrup - pour on top and bake. Since the East Bay Vegan Bake Sale was coming up - I wanted to do something with these gorgeous lemons and put together three versions of the pie. Stir the lemon slices & sugar - keep stirring it every hour or so to ensure the sugar is totally dissolved. It's ok to leave it overnight - I left it on the counter with a lid on the container. 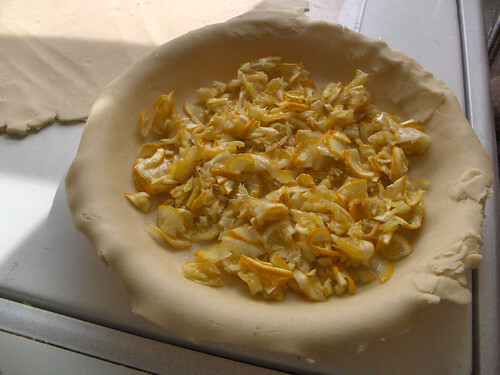 Add 1/3 c of arrowroot and 2 Tb agar flakes to the sugar - beat very well and pour over the lemons in the pie shell. BAKE in preheated oven at 400 for 15 minutes, then reduce to 350 for 35-45 minutes. 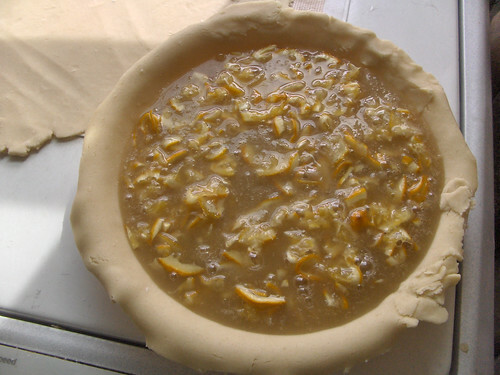 Depending on the agar & arrowroot, you may have a more firm or more loose pie filling - I had one pie come out with a very firm almost jelly like consistency and another that was a loose marmelade consistency. Both were very good - but one was easier to slice & eat! 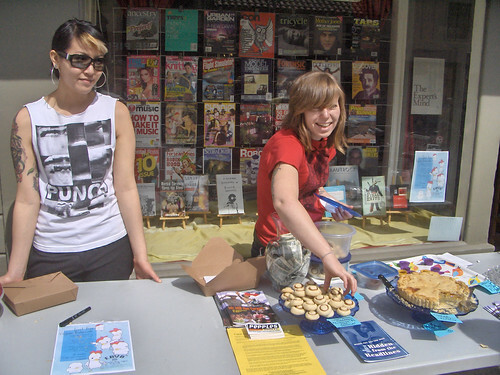 Deliver to your bake sale!